Such a pretty card Deloris, a great design. Oh Deloris this is so pretty! Such a beautiful design for a card and lovely coloring! Thanks for stopping by Jo's Scrap Shack and linking up in our Funday Friday challenge this week! Have a great day! 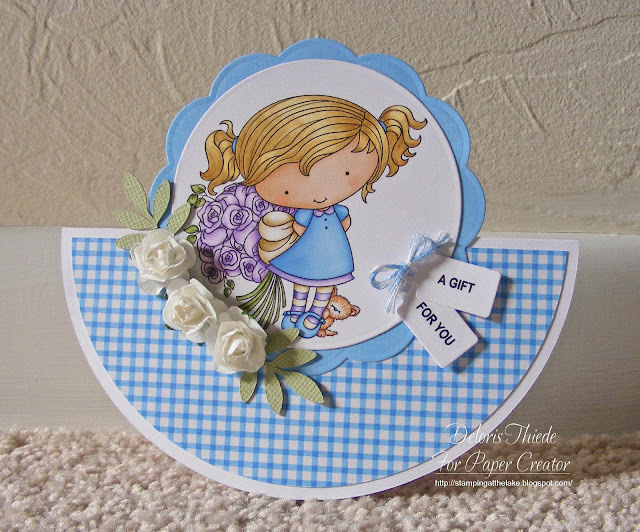 beautiful rocker card. Thanks for joining us at Crafting From the Heart and hope to see you again. I just love this card and the shape! Refreshing to see something other than square or rectangle! Thanks so much for playing along with our Bugaboo Stamps/Catch The Bug Bingo Challenge. We hope you'll join us again this week for our new color challenge!